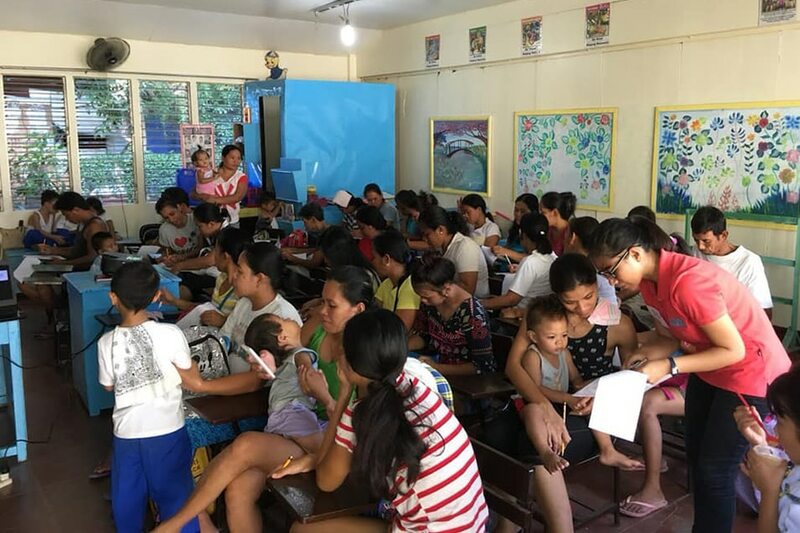 MANILA — In some of the Philippines’ most vulnerable communities, parents, health professionals and school leaders are working quietly to restore parents’ trust in immunization, which was tarnished by a shelved anti-dengue campaign. Two years since it transformed an elementary school in Iloilo from the entire province’s laggard to 100-percent compliance with school-based immunization against measles rubella and tetanus diphtheria, Team Bakunawa’s song, dance and storytelling-driven information drive is taking root in more areas. “Compliance is low because of the lack of knowledge, because of myths and misconceptions surrounding vaccination and the children’s fear and anxiety,” said team leader June Luis Salvador, an incoming medical student. From 100 percent, the compliance rate for school-based immunization in Ungka II elementary school in Pavia town dropped last year, but the principal, Loyda Subong, said the decline could have been worse. “The team was a big help to our school,” Subong said. Ungka II elementary school now holds focused group discussions with parents to help educate them about the need for immunization. At Basper Elementary School in Tacloban City, the team had to tailor fit their approach to the community, where fathers had the last say on whether or not children get immunized, said volunteer Charles Manarang. In Pavia, Iloilo where the project started, the team focused on the mothers. “It’s about establishing trust with the recipients. That’s the most basic,” he said. Businesswoman Edjelly Betito, a volunteer from Pavia, said she finds time for the project for the sake of her fifth-grader nephew, whom she has reared since he was young. “It’s a good feeling being able to help the community. I really enjoy it,” said Betito, who also works at the Ungka II school clinic. The Department of Health had said that restoring trust in immunization is a “big challenge” after the public scare from Dengvaxia, an anti-dengue drug which was widely investigated due to alleged health risks. Immunization coverage in 2018 slid to 40 percent from 70 percent in the last few years. The apprehension has spilled over to flu vaccines, where only 3 to 5 percent of Filipinos availed of anti-flu shots, Rontgene Solante, chairman of San Lazaro Hospital’s Adult Infectious Diseases and Tropical Medicine Department, said last week. University of the Philippines-Manila College of Public Health faculty member Calvin de los Reyes, who advised Team Bakunawa, said it is important to build on the momentum of stakeholder support. The team led by Salvador also includes Jason Clement Acebuque, Anna Nicole Cuachon, Bealou Patrishe Galupo, and Precious Jemimah Legayada. They are in the running for this year’s Ten Accomplished Youth Organizations or TAYO.